What should I know about the well and septic systems? Because of the importance of safe well and septic systems, we urge you not to rely on this information exclusively. When buying or selling, we strongly recommend you have your well and septic system tested to make sure it is safe and operational. Problems with your well and septic systems? It is no secret that problems with a well and septic systems can result in much inconvenience, danger, and expense. Fortunately, prior knowledge can help reduce or avoid these common problems. This article is designed to provide you with the proper information and assist rural buyers and sellers and asking the right questions and evaluating the answers regarding wells and septic systems. Because of the importance of having a safe sewer system and well, we urge you not to rely on this information exclusively, as laws and rules vary from state to state. When buying or selling, we strongly recommend you have your well and sewer system tested to make sure it is safe and operational. First, let’s talk about septic systems. There are three types: septic, mound and holding tank. Standard lending procedures most everywhere require an inspection before approval of the home mortgage. We recommend an inspection for all septic systems at the time of listing. By completing the inspection now, you can prevent clouding a future offer with a tainted septic system. If repairs are necessary, you can add the cost onto the price of the home. Otherwise, the buyer will ask for it in their offer, and if issues arise, the buyer will expect you to pay for the repairs if they do not back-out with the news. If the home is for sale for a long period, there may be an additional cost to re-inspect. The ability to correct issues early, before the buyer appears, is in the seller’s best interest. State licensed individuals conduct the percolation test to determine the soil type, condition and the ability of the soil to absorb the non-solid effluent into the drainfield. The purpose of the perc test is to determine which type of system is appropriate. When a system fails on an existing property, a perc test may be required to determine if there is an alternate site for the drain field. We highly recommend a perc test for vacant land purchases when there is no municipal sewer and water available. If you are buying land to build a home at some future date, keep in mind perc test criteria can change from your closing date to the date you request a septic permit. 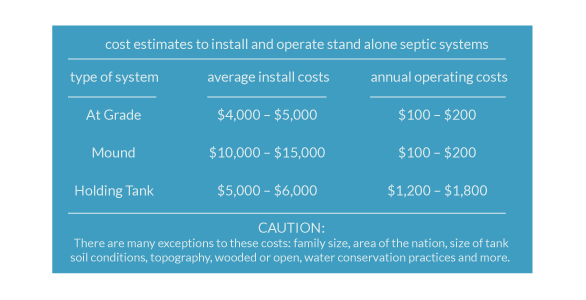 The illustration below shows why septic is usually the system of choice. Its average installation cost and low operating costs usually provide the most cost-effective option. Because of its high operation costs, a holding tank is usually the last choice and is for those properties which cannot have the septic or mound system. The holding tank, however, is the least likely to develop problems. Even if the sewer system passes inspection and testing, there is still critical information you should know. The more information you can gather about a home’s system, the better prepared you will be. Physical location: Ask the seller to provide a map that shows the drain field and tank location and then physically walk the location of the septic system and the drain field (if applicable). Pumping schedule: Find the pumping schedule and verify how often the seller pumped the system and when it was last pumped. If the seller does not know, a call to the local septic pumping company often has that information. 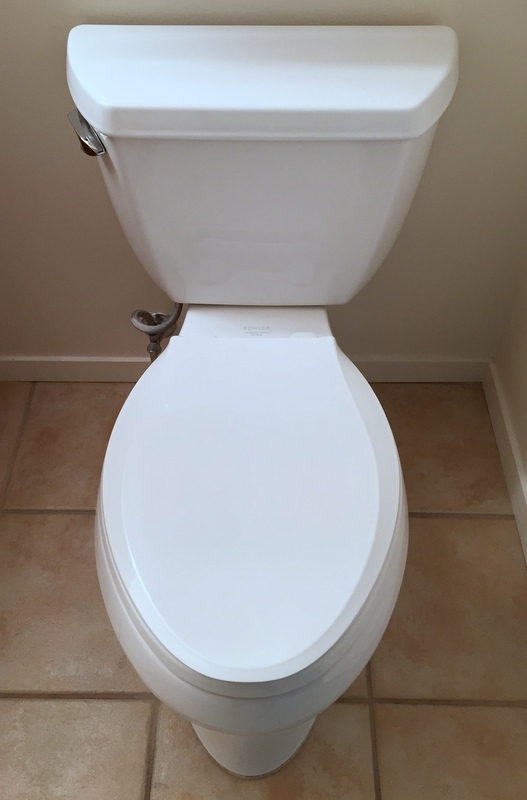 Lifestyle: Know the number of family members using the system because the septic system’s ability to absorb effluent can be affected when a larger number of people will be utilizing the system. Alternate sites: New homes constructed in some states require a primary and alternate drain fields site in order to be eligible for a septic tank. If the system fails at a used home site and there is no alternative, the owner must install a mound or holding tank system. Learn your state’s or county’s position on alternate sanitary waste disposal sites. A system that doesn’t receive the proper attention and maintenance can become a financial burden. There are two common types of wells: a sand point well and a drilled well with casing. The latter is superior. A sand point well relies on the ground water table. It can be a less dependable water source and more susceptible to contamination. The drilled well with casing travels much deeper into the ground, providing less of a chance of becoming contaminated and possibly contains a more plentiful water supply. Whether you’re buying or selling it is a good idea to have a safe water test performed. A well driller, home inspectors or a plumber may be licensed to perform the test. A clean bill of health gives you and the buyer confidence in the water. You should not draw the sample yourself. From a liability point of view, or to avoid suspicion that your sample was tampered with, always let the professional draw the sample. It’s also a good idea to walk around the site of the well and find out how the old pump is working. Testing the well pump should be part of a well inspection. The flow rate may be an indication the aquifer is receding and the well must be extended deeper. Many states mandate that the well be a certain distance say 50-100 feet from the sewer system so as to prevent contamination. The answer is the safe operation of a well, and septic system is critical. It is helpful for the seller to take some of the guesswork out of the evaluation process. One of the best ways to do that is to have the well, and the septic system inspected. Seller testing sends a positive signal to potential buyers and minimizes the chance of a big distraction if you wait until you have an offer. It will also help to stimulate pertinent questions up front by the experts. If you ask most licensed soil testers, they will confirm many septic, and mound systems begin failing from the installation date. While a failing system may take many years, it can be determined if the system is on its last legs.